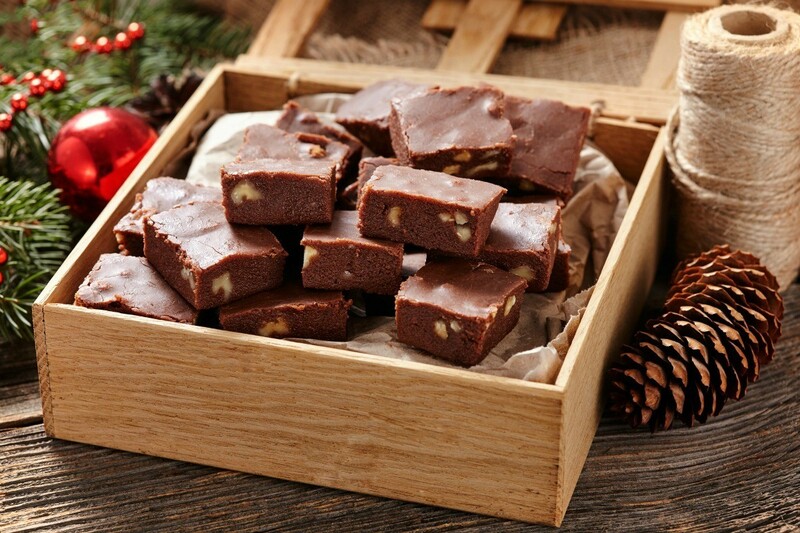 This delicious cherry nut fudge can be prepared two ways, with or without chocolate. Try both. This guide contains a cherry nut fudge recipe. Every year I get the request from my family to PLEASE make that Cherry Nut Fudge, our very favorite. I hope you too enjoy it as we do. Lightly grease a 9-inch round or square pan (I use a square baking pan). Line with wax paper; set aside. In a heavy saucepan, over low heat, melt the confectioners' sugar with the condensed milk; remove from heat and stir in nuts, cherries and extract. Spread evenly in prepared pan. Chill 2 hours or until firm. Remove from pan; peel wax paper off. Garnish as desired. Store loosely covered in refrigerator. Makes 16 pieces I make both variations of this recipe so everyone has a choice. Lightly grease a 9-inch round or square pan (I use a square baking pan). Line with wax paper; set aside. In a heavy saucepan, over low heat, melt the confectioners' sugar with the condensed milk; remove from heat and stir in nuts, cherries and extract. Your directions do not mention the semisweet chocolate chips. Do you add the 1 1/2 lbs. of confectioners sugar along with the semisweet chocolate chips? Ditto, Marge! I'm confused about that, too! Connie, by "1-1/2 lb. confectioners' coating (sugar) " do you mean powdered sugar or what? Thanks for the recipe....it sounds great if you will just clear up this one issue for us. I'm not Connie but I think I get it so I thought I'd throw my 2 cents in. Yes, she means powdered sugar. And she fixes it 2 ways. 1 way is with powdered sugar, no chocolate; the other is with chocolate, no powdered sugar. Sounds yummy to me!